A contemporary way to give to individuals in need. 100% of your donation goes to help a person in need. A small amount of money given can make a big difference to someone struggling to make ends meet. Administered by local people for local people. 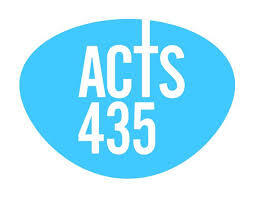 For more information about Acts435 Log on to their website where you may give directly via debit or credit card to the requests that appeal to you. If you (or a friend of yours) live locally and have a need which would be met by a grant of up to £120, please email in confidence giving brief details.